After we greeted our last guest, we climbed the stairs and walked through the pool house to the lawn where everyone had gathered. 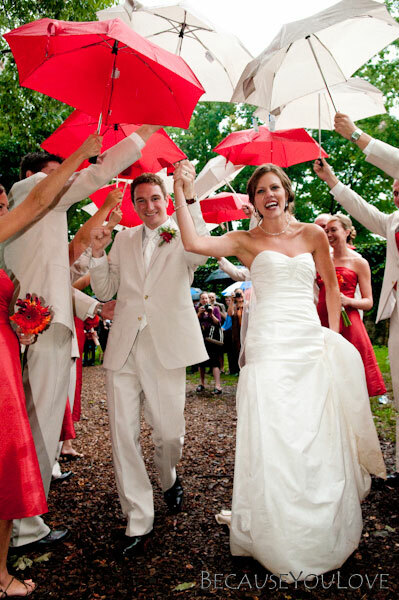 It had started to rain again, and everyone had their umbrellas — everyone but the newlyweds! There were lots of hoots and hollers as we walked by our family and friends, and I didn’t hesitate dragging my dress through the mud. 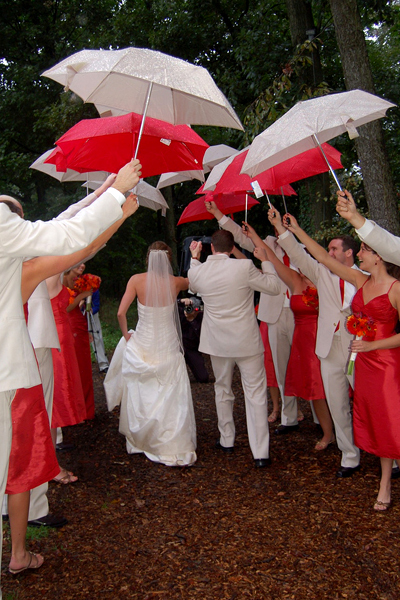 As we reached the bridesmaids and groomsmen, they popped open their red and tan umbrellas and waved them above us, forming the most fantastic tunnel. Again, it was a moment we couldn’t have planned, and it was one we won’t forget. Then we climbed into our horse drawn carriage. I felt like a princess in a chariot. With my Prince Charming, of course. 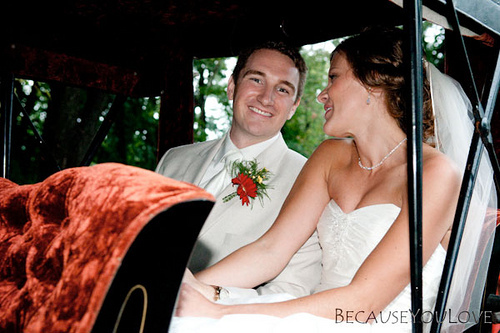 The carriage whisked us away for a wet and bumpy ride. We looked at each other, and it hit us. We were married! There were tears and kisses and squeezes. We cherished the moment alone before returning to celebrate. 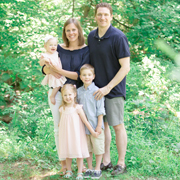 Next: Photos and the Party! The umbrella arch is too cute! And your smile is so happy! 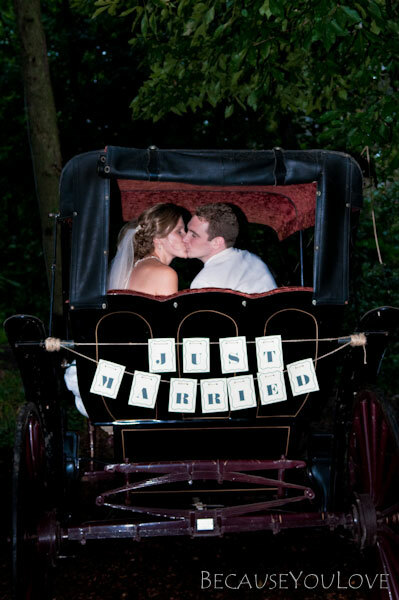 Simple sign but so not cheesy, love it. Beautiful pictures and I love the umbrellas.